That probably wasn't what any of us were expecting after what happened last week now was it? But if Westworld were continuing to do what we were expecting it to do, at least narratively speaking, at this point what kind of show would it be? In any case, this proved to be a surprising, emotional and still revealing episode so let's dig in, shall we? Kikuya pick up with William (Ed Harris) who is riddled with bullet holes from his encounter last week. Resilient as ever. Unfortunately for him, it's Akecheta (Zahn McClarnon), the leader of the Ghost Nation to the rescue. Kind of. While Akecheta doesn't let William die, he only saves the man so that he can be healed and tortured. As Akecheta says, "I remember you." As it turns out, he remembers an awful lot and thus, this episode becomes the tale of Akecheta. The episode turns into a roughly 40-minute look back on his life, going deeper into any single character than we have in the history of the show. We see his tortured past. We learn that the hosts actually have real lives and that, long before the robot uprising happened, many of them were tortured with the knowledge of what is they really are. This episode truly makes you realize that there are never-ending stories to be told within this world. It also is more clear than ever just how distressingly dark this show is. As we see, Akecheta has one of the most brutally sad stories anyone, be it person or robot, could possibly have to tell. It's so tragic. Maybe the most tragic we've encountered so far on the show. We see the past of the Ghost Nation and how they came to be, all through the narration to Maeve's daughter. Akecheta one day unknowingly stumbles upon the massacre that resulted in Arnold's death and, tragically, he learned of the maze. This altered his existence and his understanding of what he and everyone he knew was. While he didn't fully understand at the time, he understood that there was more to life than the world they currently inhabit. Unfortunately, this results in the park operators taking his life away from him. His lovely wife Kohana, which is all he truly ever cared about, and his tribe. All of it. They turned him into a monster. And, of course, Akecheta manages to bring William's brother-in-law Logan (Ben Barnes) back into the fold. We find Logan a sun-poisoned mess following William releasing him out into the park during the events of season 1. Terrified, he was asking where the door is. This shifts Akecheta's thinking and sends him on a quest to find this door Logan spoke of. Turns out, he knows, or at least at one point knew, where the door is. Yes, the door we've been talking about al season. This leads him to go steal his wife Kohana back from his old tribe. She may no longer recognize him, but he gets her to remember in one of the few sweet moments from this whole tragic story. The two embark on a quest with one another to relocate the door and leave Westworld. Unfortunately, it is escaping Akecheta and Kohana is captured by the park operators. In another dark turn, he realizes at one point that if he allows himself to die, he can look for his loved one in the world below. The park operators are shocked to learn that Akecheta hasn't died in nearly a decade and hasn't had an update in just as long. There, he learns the truth. He sees all of his people just naked, turned off and locked away from the world. Upon his return, he tells his people of what he found and begins to educate others about the maze. We come to find out that he actually crossed paths with Maeve's daughter quite a bit in the past. Not only that, but he protected her and wanted them both to be safe. Sadly, he couldn't protect them from William. Akecheta also comes face to face with Ford (Anthony Hopkins) in a rather brilliant scene. Ford, baffled by Akecheta, told him to find the new world once Dolores kills him. So basically, Ford is responsible for this little uprising he's putting together. Imagine what's going to happen to everyone who is racing to the valley beyond? Once the tragic story comes to a close, Grace (Katja Herbers) comes to the rescue of her dear old dad. Sort of. Her motives are ominous, as she promises him more pain than Akecheta can offer. 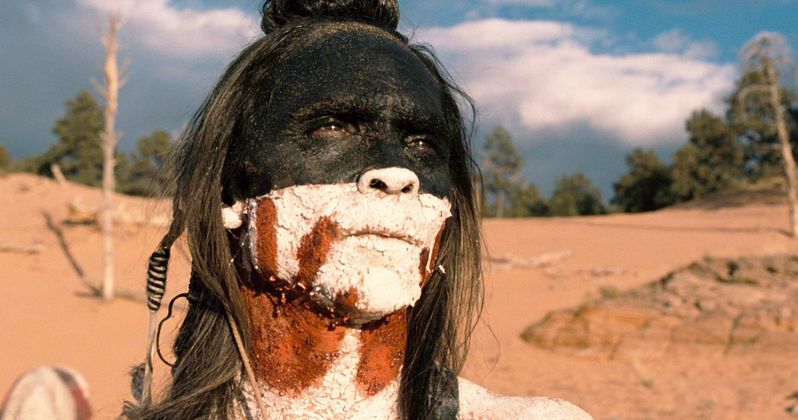 Westworld wasn't quite done with us yet this week though, as it still has one more ugly, sad string to pull on, as of the tale of Akecheta wasn't enough. Maeve (Thandie Newton) is dying but, despite being kind of a weasel, Lee (Simon Quarterman) is trying to save her. Do we actually like Lee now? Is he becoming not a piece of trash? What we learn is that it's Charlotte (Tessa Thompson) who gets to determine Maeve's ultimate fate. Do they save her? Or just strip her of her special code, aka her witch powers. Her witch powers were finally explained actually and she's able to not only remotely communicate with other hosts, but she can alter them on the fly. What the episode ends on his brutal, as we find out that Maeve has been remotely communicating this whole time and she was aware of this communication between Akecheta and her daughter. The final shot is of Maeve who knows her daughter is in good hands. Maeve may be gone for good, folks. And with that, one of the most surprising and brave episodes of TV to come along in quite some time concludes. Westworld may no longer be the show many expected it to be when it started, and it certainly may be losing a few people along the way, but this was an undeniably important episode and an argument could be made that it's the best the series has produced so far. Now the question of how the hell does HBO wrap this up in just two more episodes?